Join us for a very special night with acclaimed powerhouse funk/soul group West End Blend! 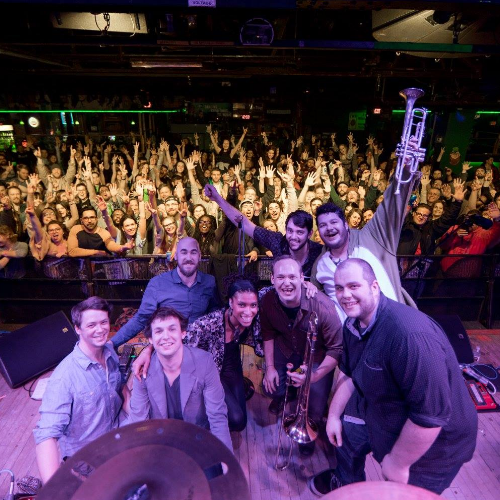 West End Blend has shared the stage with Charles Bradley, Turkuaz, members of Snarky Puppy and Lettuce, Break Science, Kung Fu, Twiddle, Sister Sparrow & the Dirty Birds, The Nth Power, The Motet and countless others Jam/Funk staples. Their horns have also been featured as special guests with bands such as Dopapod, Pigeons Playing Ping Pong, Twiddle, TAUK and more. West End Blend has begun to take their dance party to cities around the US so be on the lookout for when The Blend comes to your town.